In Situ Architecture have completed a new Passive House that demonstrates how simple forms and beautiful material pallets can result in an energy efficient and joyful home! This project takes a different approach to shading. Rather that incorporating expensive overhangs, check out the trio of images that show how external blinds can be used to keep out unwanted heat in the summer. 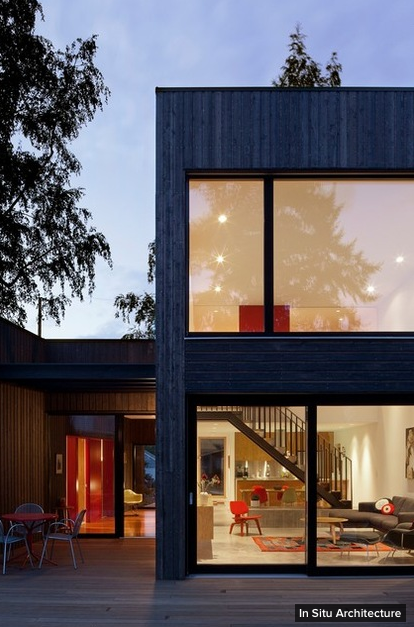 The Houzz House Tour offers a nice introduction to this project.